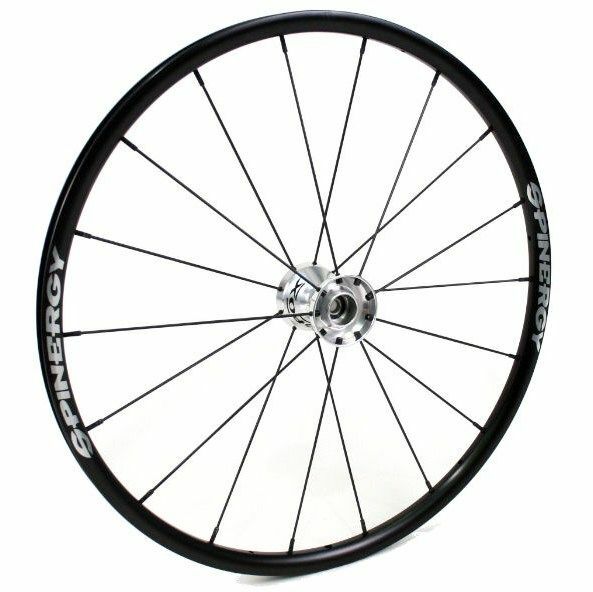 Spinergy Everyday wheelchair wheel with PBO fibre Spoke technology - 18 Black Spokes. Spinergy wheels are lightweight, strong and robust. Extremely reliable, Quiet and comfortable for everyday needs. Pro fibre 3mm spokes, 1/2� Sealed cartridge bearings (R8). Hub Width 46.5mm (1.80�) These wheels do not come supplied with pushrims or tyres. Please allow up to 2 weeks for delivery. Price per wheel. We're sorry, this part is currently unavailable.